In eastern Canada, Botrytis Leaf Blight (BLB) of onions caused by the fungus Botrytis squamosa is the key disease for scheduling fungicide applications. 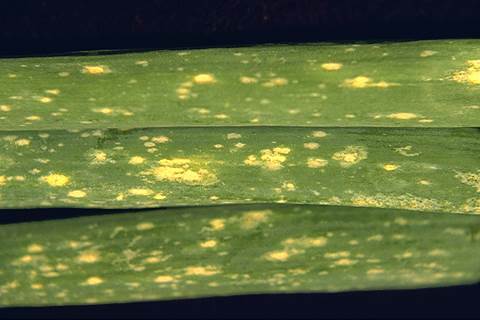 BLB is characterized by silver halos on green leaves, followed by leaf tip dieback and leaf blighting, which reduces photosynthesis and consequently bulb size. Although there are some onion cultivars that are tolerant to the disease, they are not widely-planted in Canada because they are not suitable for long-term storage. Source: Crop Protection. March 2012. 33:21-28. This entry was posted in Fungicides and tagged Botrytis Leaf Blight, Canada, disease, fungicides, fungus, onions by pesticide guy. Bookmark the permalink.